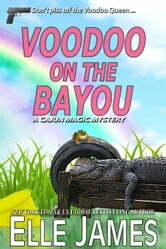 Elaine Smith came to Bayou Miste to investigate the source of pollutants and finds herself in need of a bodyguard when she gets too close to revealing the source. Though suspiciously absent during the day, handsome local Craig Thibodeaux offers to be that bodyguard in her forays into the swamp at night. 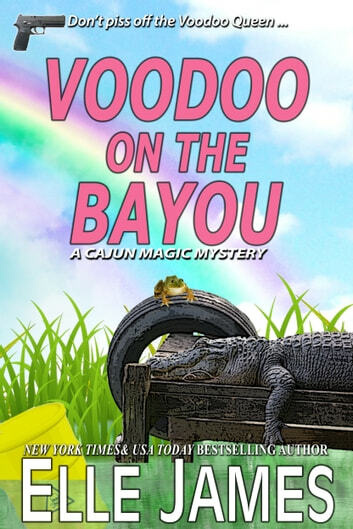 Note: This book was published by Dorchester Publishing as TO KISS A FROG in 2005 and by Entangled Publishing in 2013 as VOODOO ON THE BAYOU. Really good start of the series. I think this is the best book. I started the series with the second book, but this one is the most original and with more comical moments. The couple is adorable and though reluctant, Craig is great. Mamere Labieu sounds like an interesting woman, so I'd love to read further about her in following books! The editing of the book is a bit weird, maybe it was my ePub edition, I don't know, but I had bits missing, so I was a bit disappointed, but the bits that I did have were amazing. High five!